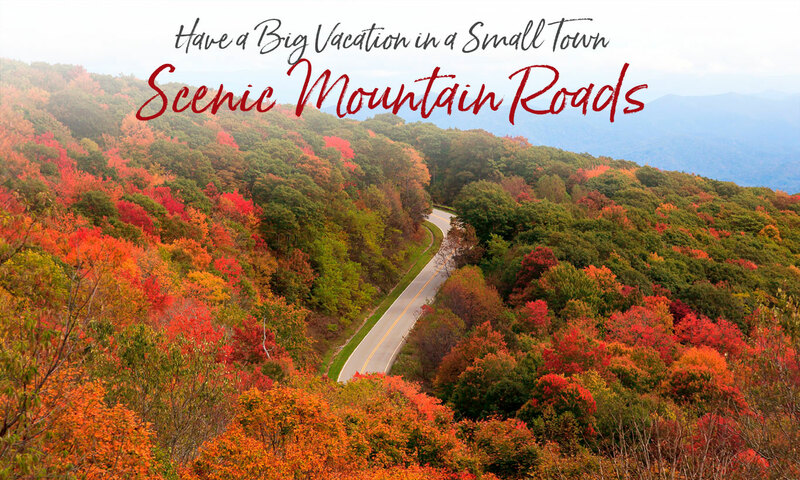 Make Swain County your home base for a mountain vacation, and get ready to enjoy some of the most scenic roads in the country. Whether you drive on four-wheels or two, you’ll love our curvy mountain roads with endless mountain vistas, sparkling rivers and creeks, lush forests and peaceful valleys. Our most well-known drives take you through the Great Smoky Mountains National Park and the Nantahala Gorge, to Fontana Dam, on the Blue Ridge Parkway and the Cherohala Skyway, down The Road to Nowhere, and along the infamous Dragon at Deals Gap. Yet there are plenty of side trips down country roads that take you to that perfect picnic spot or fishing hole – or just a drive for the joy of the journey. American Motorcyclist Association also named these three among the top 15 best in America to ride. AMA members ranked The Blue Ridge Parkway # 2, US 129 The Dragon #3, and The Cherohala Skyway #7. Nearly 100 roads in the US were on the ballot. “When it comes to the best places in the country to ride motorcycles, no group of riders is more knowledgeable than AMA members,” said AMA President and CEO Rob Dingman. Read more in AMA magazine – April 2011 issue. Other media mentions about Bryson City and the Great Smoky Mountains National Park.